Renowned all over the world for its production of excellent wine, the Chianti region covers a vast area of Tuscany and includes several overlapping subregions, further divided into sub-zones. At just 25 km from Florence and part of the Colli Fiorentini sub-zone until 1997, the Montespertoli sub-zone has since become its own tiny enclave. Surrounded by gently rolling hills covered with vineyards and olive groves, this is one of the world’s most famous landscapes. 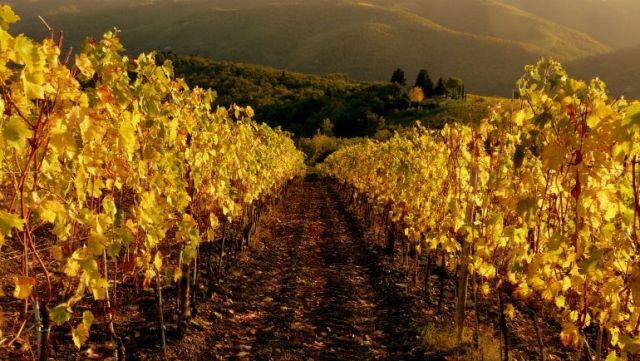 Thanks to its mild climate and fine position, the territory of Montespertoli has an excellent wine cultivation, and of its 2200 hectares 1400 are cultivated with Chianti DOCG classified vines. 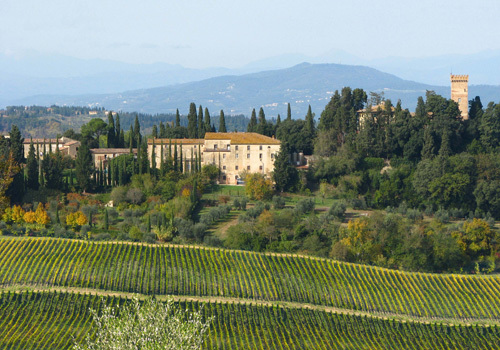 The biggest development in vine-growing here was with the Medici family. Apparently, starting from Cosimo de’ Medici in the 14th century until unlucky Gian Gastone in the 18th, the Medicis favourite wine was the Chianti produced in this area. 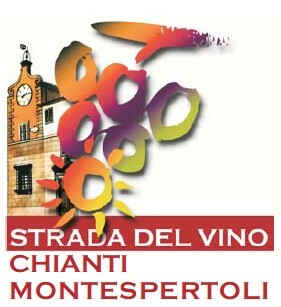 Today the area has an outstanding selection of various Chianti DOCGs, as well as its own Vin Santo. Since Etruscan times Montespertoli has played an important role on account of its road network which allowed Florence to trade with Volterra and Siena along the Via Volterrana. The same road crossed the territory of Montespertoli from North to South and joined the Via Francigena at Certaldo and for this reason along it we can find many early Middle Ages’ settlements. In 1393 the borough of Montespertoli was acquired by the Machiavelli family. Today the town is a favourite among Florentines who prefer to live here, far from the city pollution, yet near to work. 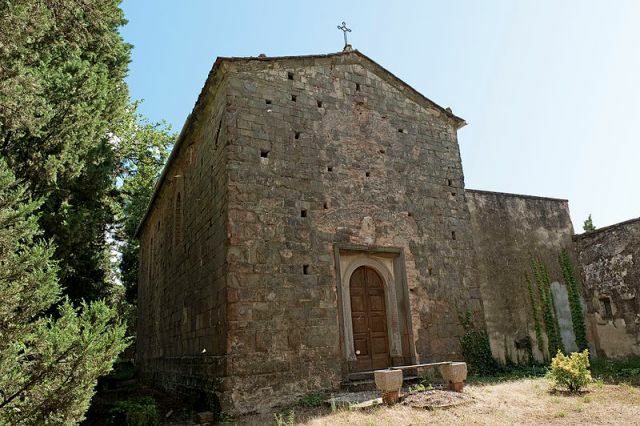 Main sights are a selection of churches ranging from the 9th century to the 12th, the 10th-century Castle of Montegufoni, once residence of the Sitwell family, the 12th-century Castle of Poppiano and the Castle of Sonnino, former residence of the statesman Sidney Sonnino and today a winery, the fate of many historic villas in the area. 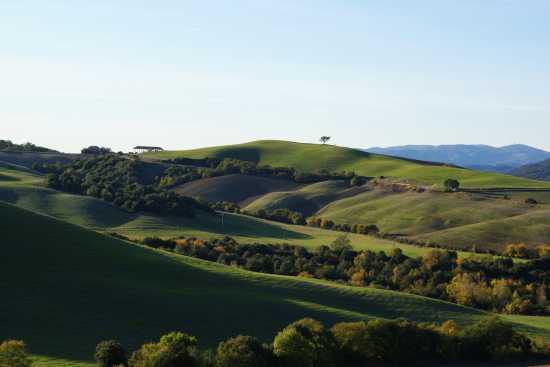 Montespertoli has more to offer visitors than excellent wine and olive oil. One can explore this beautiful region on horseback, mountain bike or simply trekking. 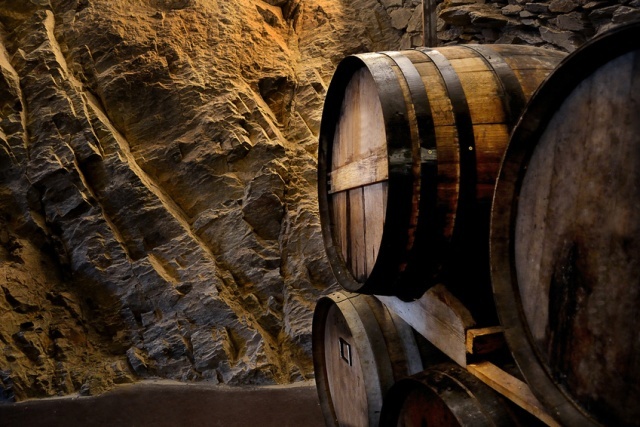 However, for those following the wine trail the Wine Museum of Montespertoli is also a leap back into rural traditions. Questa voce è stata pubblicata in Accommodations in Tuscany, Tuscan food and wine, Tuscan lifestyle e contrassegnata con accommodation in Tuscany, Chianti wine, Florence, Montespertoli, Tuscan food and wine, Tuscan lifestyle. Contrassegna il permalink.